Taming the SRU Drs Jeffery Hill, Ryan Lafollette and Bill Hinckley run this amazing website which includes everything from ultrasound knobology and emergency procedures to practice guidelines for emergency medicine (and prehospital medicine). This is high quality medical education simply. 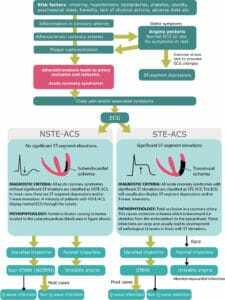 Life in the Fast Lane – Australian site with one of the most impressive ECG libraries available. A must for anyone interested in ECG interpretation. Also includes vast amounts of clinically relevant discussions and articles in emergency medicine. AnaesthesiaUK – is a comprehensive e-resource and CME site for anasthesiologists. Site is maintained and updated actively, which means it deserves a bookmark if your into anasthesia or critical care medicine. Critical Care Reviews – Dr Rob Mac Sweeney’s superb website which is a must for anyone interested in critical care medicine. Content is evidence based, comprehensive and qualitative. Dr Goldberger et al ECG Wave Maven – It is likely that this Dr Goldberger is related to the Dr Goldberger who invented the ECG leads aVR, aVL and aVF (unconfirmed). There is no doubt, however, that anyone interested in learning ECG interpretation should pay a visit to this maven (which is hebrew for “master”). 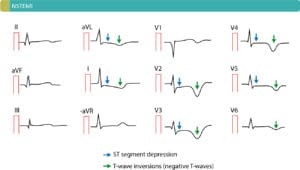 ECG Wave Maven includes over 500 ECG cases, all interpreted by experts in electrocardiology. Dr Smith’s ECG blog – This blog is one of the most comprehensive blogs in practical ECG interpretation. Taught by professor Smith, any reader is guaranteed to quickly acquire state of the art knowledge and practical training. Professor Smith published a book as well, which we’ve read and recommend to virtually anyone interested in ECG interpretation. Diabetes – Education for individuals with diabetes. Rebel EM – Rebel EM is a high-quality emergency medicine blog covering a myriad of topics, primarily focusing on evidence-based clinical topics, ECG cases, and high-yield exam review. This is one of few EM blogs with up-to-date research discussions. EMcrit – Superb website by Dr Scott Weingart. Frequently updated, evidence based, clinically oriented and just great. A must if your into emergency medicine. Broome docs – Dr Casey Parker’s site covers a wide range of topics. The archive is loaded with great articles which physicians should be interested in. Updates occur frequently. Nuemblog – A residents blog with superb, and expanding, content. Beautifully presented and highly relevant for many of us.